Whether you love or hate Valentine’s Day, it’s a marketing event worth putting effort into. Consumers spent $19.7 billion dollars on the holiday last year, with much of that spent on flowers, jewelry, and evenings out. But that doesn’t mean you can’t get involved as a food, clothing, or even supplement brand! These days, companies from Whole Foods to Krispy Kreme all get in on the action. With brands offering deals for lovers young and old, how can you stand out from the crowd? 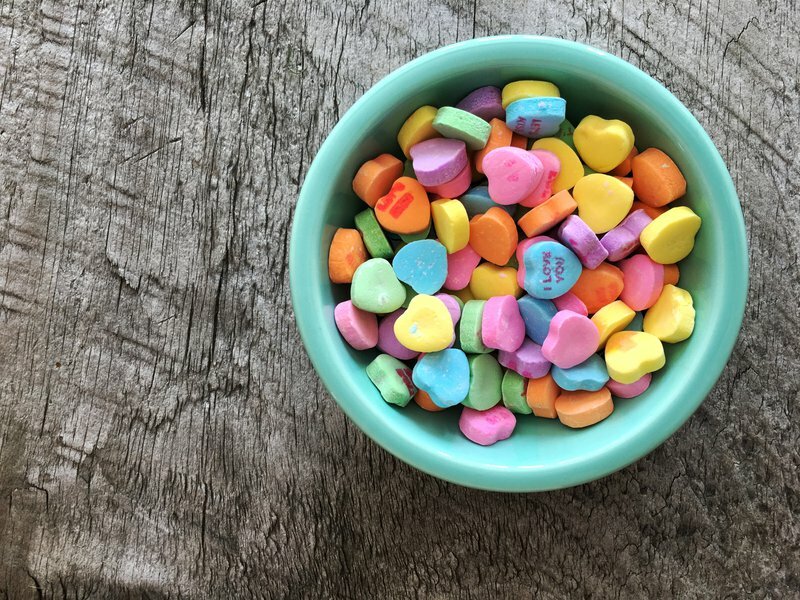 Utilize these 5 eye-catching Valentine’s Day marketing ideas to craft marketing campaigns that will bring attention to your business. Focusing your marketing efforts to one type of relationship, such as spousal, can limit the reach of your campaign. Remember that consumers purchase Valentine’s Day gifts for anyone — including coworkers, parents, or friends (think: Galentine’s Day!). Allow customers to spread the love with anyone in their life by offering giveaways for BFFs, special deals for office catering, or even pet owners with a limited edition pet product! Holiday spending isn’t limited to people in relationships. Surveys find that more consumers, particularly millennials, will be spending on self-care or “me time” for the holiday. Particularly for indulgent food items, a marketing effort targeting singletons can be a great way to get a new demographic in on the action. Try a gift basket with items for customers to treat themselves solo-style! Valentine’s Day is a great day for user-generated content. Rather than a single social media post advertising a special deal, look for ways to get your fans involved and engaged. Ask fans to submit content of them gifting your product, and culminate the campaign in a giveaway! The reach will be much farther than a one-off post. 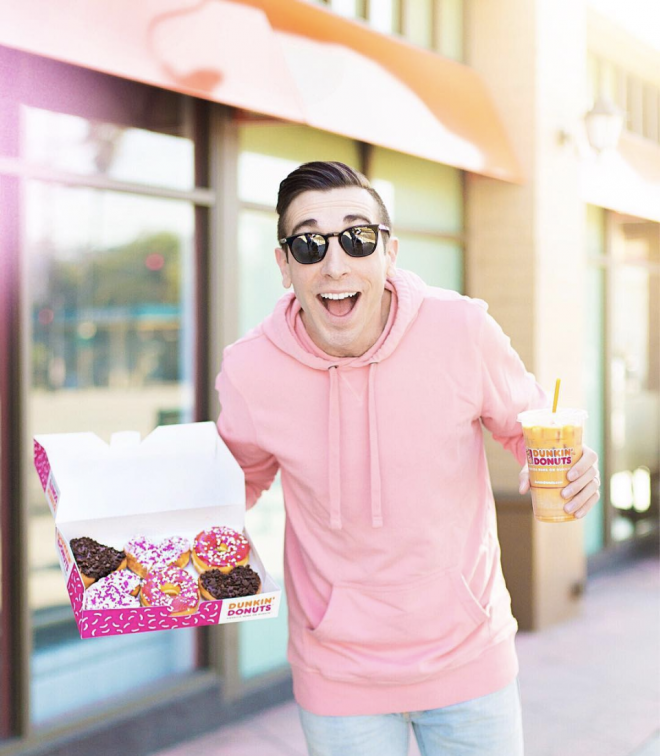 Check out this #DDLoveContest from Dunkin for inspo. Valentine’s Day doesn’t have to be a serious affair. Dairy Queen shows that a lighter touch can be endearing and fun by replacing a tennis bracelet with a spoon (seriously, if you don’t know what we’re talking about, it’s worth clicking the link!). Create a satire of those age-old marketing tropes, and tap into an audience who might be tired of the content they typically see this time of year. An event like Valentine’s Day is the perfect time for partnership marketing. We especially love this sweet act of holiday giving from Freshdirect and Chobani. They partnered to bring a limited-edition Chocolate Cherry Chobani flavor to students in the Bronx, adding a charity aspect to their campaign and garnering some feel-good earned media. They put the focus on “heart health” for V-Day, proving that you can market healthy products on this holiday with some clever planning. For more tips on marketing and sales for food brands, check out Foodboro! As a digital ecosystem for food and beverage brands, their website features resources, industry news, and interviews with up-and-coming makers.